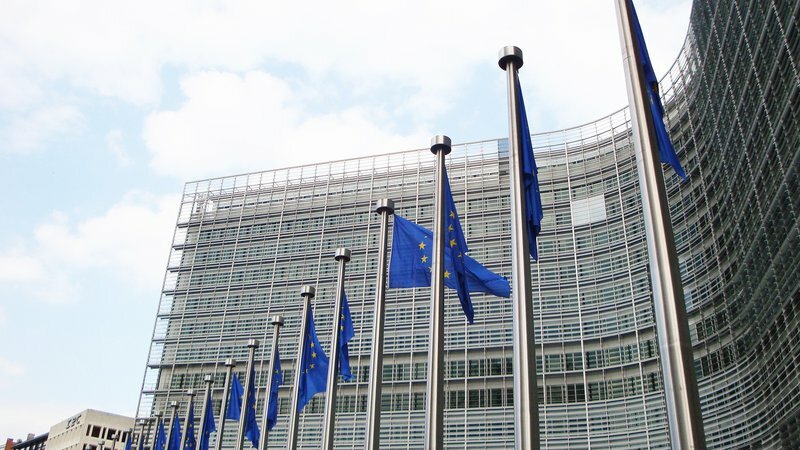 BRUSSELS – Seventy-two years of peace in Europe will come to an end January first when the 28 member bloc officially ceases to exist, announced the European Commission today. This decision came following a breakdown in negotiations between Europe's embattled pro-Union leaders and the many newly elected Euro-skeptic governments that have taken power in recent years. There were scenes of elation across the continent as citizens burned euros and erected barricades at border crossings. The announcement was greeted with enthusiasm by many leaders within Europe and overseas. "Today marks the beginning of a new era of stability for France," said French President Marine Le Pen to a raucous crowd in Place de la Bastille, standing atop the first new guillotine in France since the EU abolished the death penalty. German Chancellor Frau Kepetry expressed similar sentiments at a Bundeswehr drill in Frankfurt an der Oder, near the Polish border. "Germany can now resume its traditional role in Europe," she said while gazing at the fertile fields to the east. Meanwhile across the Channel, Scotland's recent independence does not seem to have damped British enthusiasm. Prime minister Nigel Farage addressed parliament with an eloquent speech this morning. "We will rebuild Hadrian's wall and Scotland will pay for it! Make Britain Great Again!" Shortly thereafter the House of Commons approved a bill bringing the special relationship to its logical conclusion and requesting to join the United States as the 51st state. However, the end of what had been the unifying force across much of Europe will bring with it some difficulties. Due to a quirk in the law, cross border travel and trade will be illegal until bilateral agreements can be reached between every former EU country. That hasn't deterred many in the former union. "My country doesn't need imports, we can get by on our own," insisted an Italian man before getting in his Volkswagen and driving away. In Sweden, the 1967 law requiring traffic to drive on the right has been invalidated, causing mass chaos and several thousand traffic deaths in the first hours. Many are refusing to accept euros, though they remain legal tender through the remainder of the month, insisting instead on cigarettes or canned food. Several eastern European governments have reportedly been deposed in coups, though reports cannot be confirmed because all lines of communication to these countries are down. In the United States, President Donald Trump released a stirring tweet to commemorate the events in Europe. "This is a great day. Tremendous. Without the European Union, Europe will win biglier than ever." Russian President Vladimir Putin was similarly enthused. "The Russian speaking minorities in newly liberated European states can now express their true desires for the future of their countries. Local self defense forces unaffiliated with the Russian Armed Forces will ensure this happens." Whatever the future holds for these newly independent countries, it can hardly be darker than the horrors of free travel, cooperation, and peace that have plagued Europe for a generation. Stephan Ebert is a human.